Hats off to the grad! Our Congrats Grad graduation dessert plates prominently feature your graduate's school color. 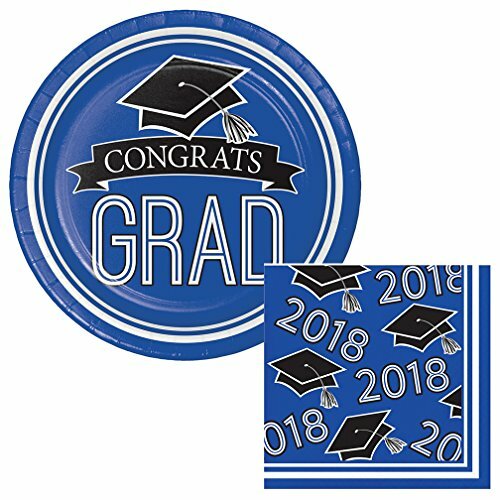 These 7" plates say: "Congrats Grad" & Napkins say: "2018" with graduation scrolls. This party kit includes a (18) pack of dessert plates & a (36) pack of napkins. Use them to serve up snacks or dessert! If you have any questions about this product by Party Explosions®, contact us by completing and submitting the form below. If you are looking for a specif part number, please include it with your message.